The Battle of Crete in 1941 threw 6500 Australian soldiers and 7000 New Zealanders (13,500 Anzacs) into a desperate 10-day battle against a huge German invasion force, including thousands of parachute and airborne troops. The battle was unprecedented in four respects: it was the first time Australian and New Zealand forces had combined in a major battle since Gallipoli; it was the first-ever mainly airborne invasion; it was the first time the Allies had made significant use of intelligence from the deciphered German Enigma code; and it was the first time invading German troops had encountered mass resistance from a civilian population. 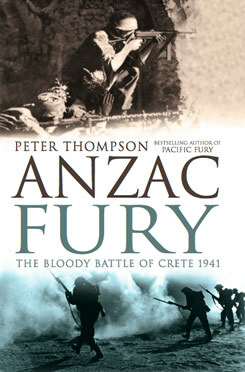 Drawing on a range of new primary sources and interviews, Peter Thompson looks at the battle through the eyes of the Anzac troops to give a compelling and fresh account of this important battle.